Did Your Valentine’s Day Include Jewelry? 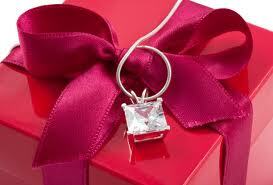 Though Valentine’s Day is the biggest day for giving cards, flowers and chocolate, even more money is spent on jewelry. Considering that Valentine’s Day is the third most popular time of year for marriage proposals, lagging only behind Christmas and New Year’s, contributes to the big spend. According to a survey conducted by Bride’s Magazine the average cost of an engagement ring is $4,647. In today’s tough economy, that price tag is hard to replace, not to mention the sentimental value of the gift. Regardless of whether your gift was silver, gold or that big diamond of your dreams, be sure it is protected. There are many different options for insuring your jewelry, but please DO NOT assume that it will automatically be covered under your homeowners or renters insurance policy because it generally is NOT. Separate policies or endorsements are required. Where to start? Have you jewelry appraised, select coverage with broad protection, work with your insurance agent to determine the policy best suited for your individual needs.